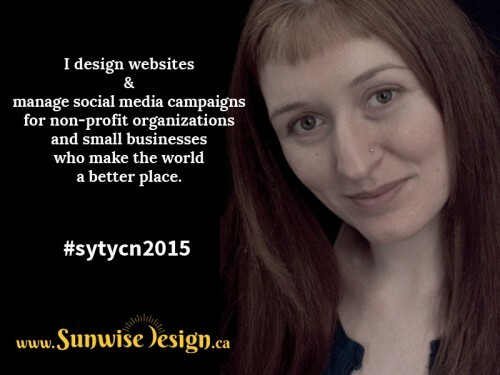 I design websites & manage social media campaigns for non-profit organizations and small businesses who make the world a better place. 7. Right now this is a solid 7/10. My guess is that, if you’re any good at what you do, that you are already at or will shortly be at capacity. Which may open up an opportunity to refine and specialize even further in what you do (e.g. do you love the web design more? or the social media? And is it the design or nerding out on widgets). You may also find ways to hone the ‘who’ you work with. It might be based on the demographics of whether they’re a non-profit or small business and making a choice? Or, more likely, based on the particular timing of when you come in, their size or budget. I’m so glad you’re out there doing what you’re doing. So many of my clients need you. 7/10: Reading through dozens of statements at once makes me wonder things like, “Who doesn’t want to make the world a better place?” and “Isn’t that what non-profits are for?” Using one more descriptor (you have some characters to spare!) you could name your favorite kind of non-profit and get narrower. 9.5/10: Yes non profits, but especially who do you love to work with the most, tell me a bit more about your personal passion. Is it wildlife, humanitarian, habitat, medical aid, emergency response? Because what you already have is perfect now you can think more about you and what you want to work in. Good luck . 8/10: I totally understand what you offer and I love your sweet and open portrait. It invites me to come and meet you. I would love to see some rewording of ‘make the world a better place’.It is used so often that I hardly read it. It doesn’t really speak to me. I would be interested in reading a totally rewritten niche text that says what your designs and more effective campaigns would mean to your clients and the world. A before and after situation maybe? 8.5/10: Design and layout is great. I wonder what the services offered lead to for your clients? 8/10: Getting more specific on the type of non-profits and the website designs will help. Do you do branding or just the site build? What’s involved? Clear that part up and it will be a 10! 10/10: Excellent, Yay you! Very clear. 10/10: Crystal clear to me. 9/10: I agree with others, narrow the audience down, but for the most part really clear! 10/10: clear, inviting and important! Thank you for your feedback. I completely agree that a statement that demonstrates what my work means to my clients would be more complete. I guess it would be something like “I design websites & manage digital media for environmental non-profits and small businesses to help build relationships that inspire action.” It’s hard to use so few words for my niche. I work both for non-profits (mostly environmental NGOs) AND small businesses who work in the fields of alternative health, natural building, natural fibers, spiritual practices, etc.